Now we know why Fiat Chrysler had a tough time with their union vote. It wasn’t two-tier wages, as widely reported, it was the Dodge Viper! I’m not sure what FCA gave them to approve their contract but it wasn’t worth it. STRIKE! The 650-hp sports coupe is built at FCA’s Conner Avenue plant in Detroit. The $5.3 billion product plan indicates no replacement vehicle for the small factory where Vipers are built by hand by about 80 employees. The new Dodge-turned-SRT-turned-Dodge Viper has not sold well, causing them to lower the price, which hasn’t mattered much. 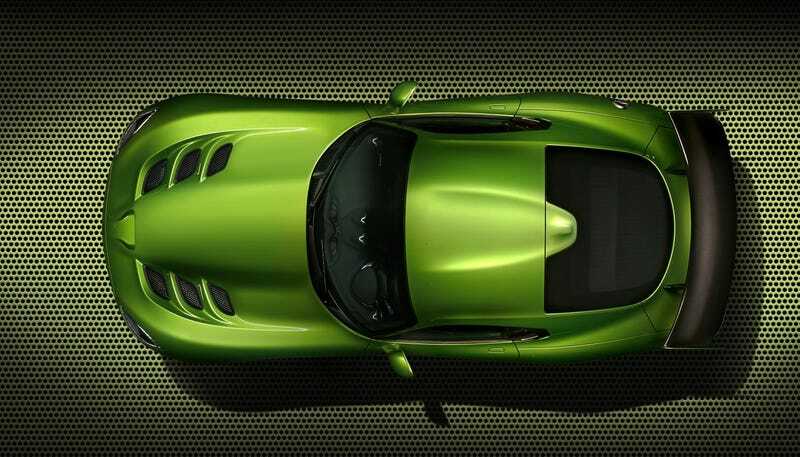 We’ve heard the Viper has been doomed for a while and the 2017 date lines up with what we’ve heard. This makes me sad. The Viper is probably the last iteration of a certain type of insane performance car like the Cobra and the TVR that gave you a ton of power and tire and hoped you had enough skill to survive it.